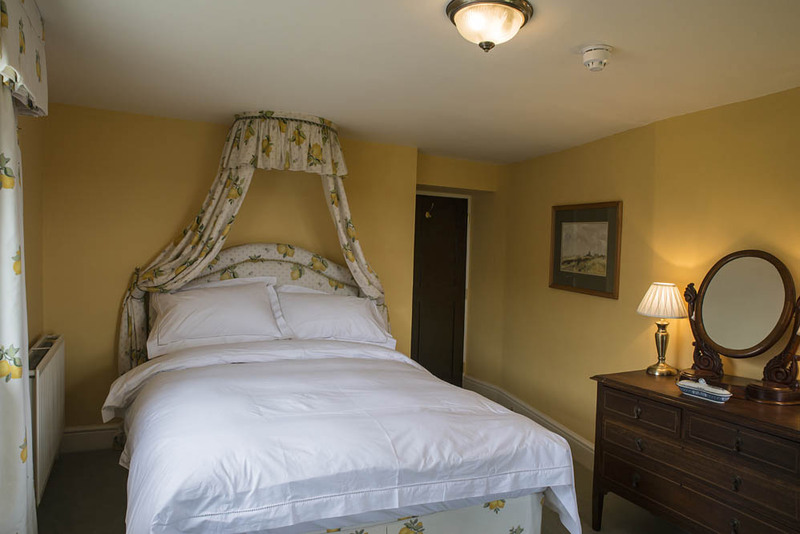 All our bedrooms are decorated to a high standard, and the beds are extra comfortable. 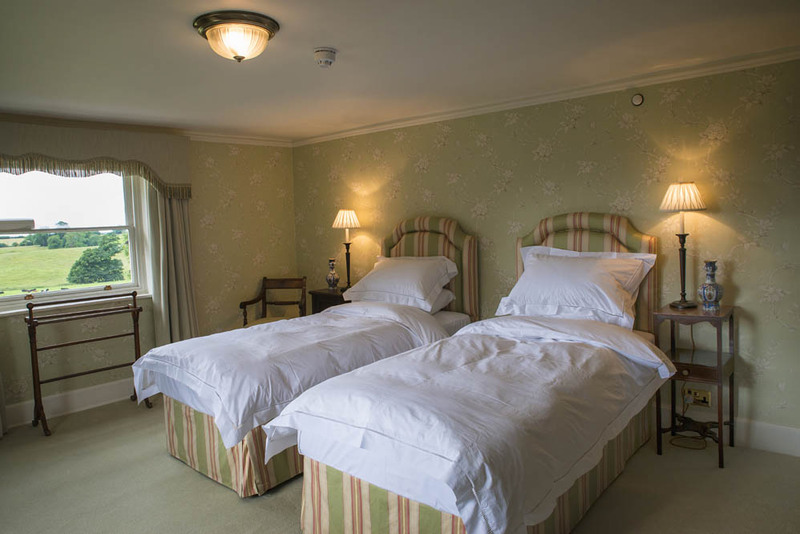 You will find top quality fresh white cotton sheets, soft towels, bath robes, lovely REN toiletries and and Wi-Fi is throughout. This room has been the master bedroom for the last half-century, in part because it was next to the AGA’s chimney, and thus warmer than any other bedroom! In the room there are eight watercolours of scenes of the estate are by Ivan Taylor (1946-), a professional artist living locally, and recently appointed President of the Staffordshire Artists’ Society. He paints in oils and watercolours, supplying galleries around the UK, USA, Belgium and France. The commission from the owner to paint these watercolours was one of his first. The bed is a 5-foot wide Victorian half-tester in mahogany. The room has a seating area where guests can relax. The room is also home to a Persian Kashan carpet, which is rare for having a green background (green was the colour of Mohammed’s turban), and only some greens are permitted). The en suite facilities include a walk-in shower and a bathroom. The room offers views of the garden and out towards the town of Ashley, where the land rises to over 700 feet above sea-level. 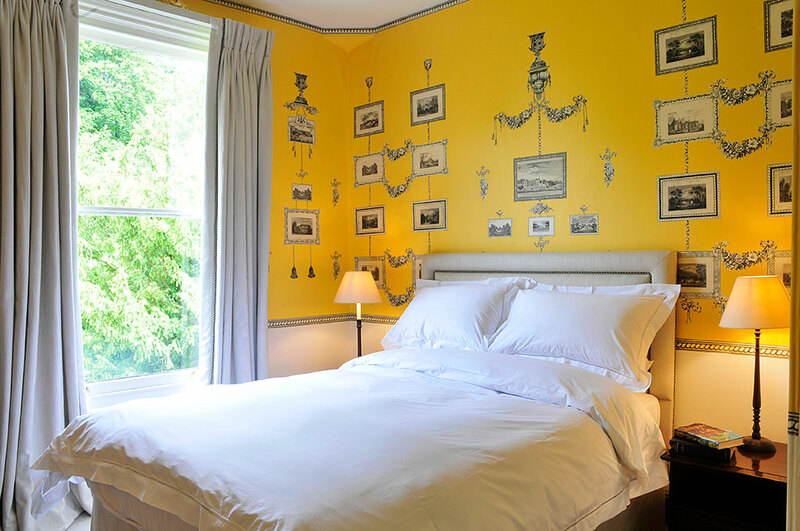 The décor gives the room its alternative name of ‘The Lemon Room’, which has a king-sized bed. 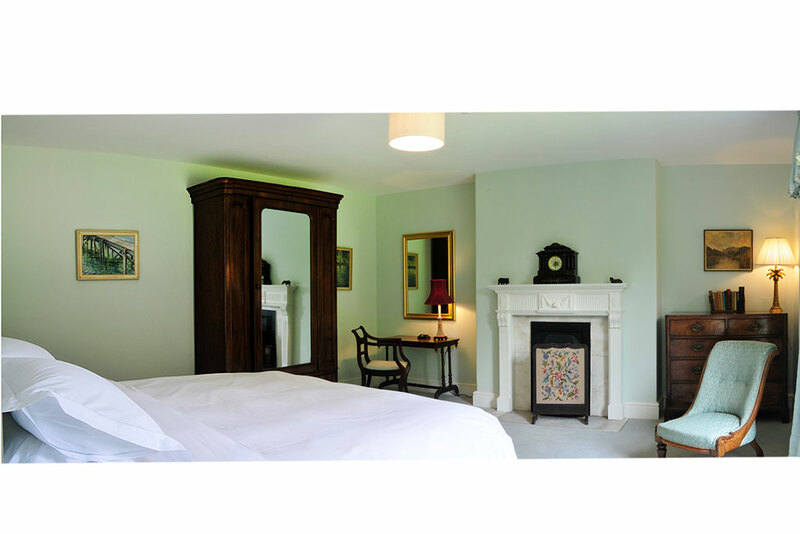 This room (with the Offley Room and the Wrekin Room) share the family bathroom, which has a deep bath, a shower and two basins. The window looks out in the direction of Eccleshall. Sugnall has been in the Parish of Eccleshall for 1,300 years and our family has been baptised, married and buried there. The en suite room (formerly called the Step Room for obvious reasons) features Indian-themed wallpaper. The bed is a super king bed is zip-and-link, which can be divided into two singles. The bathroom features a deep bath and a shower. 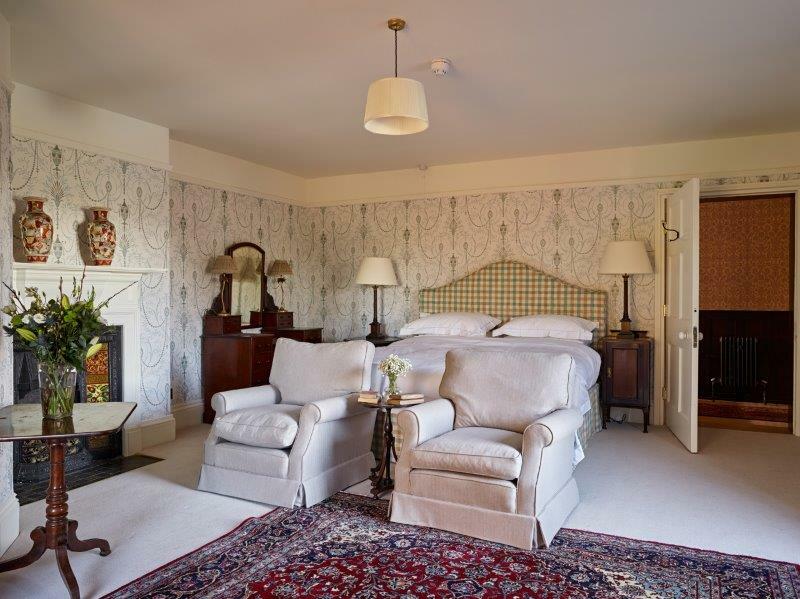 This is a favourite room because of the fine views over surrounding countryside. It used to be colder than the master bedroom, and so was occupied only in the summer, but since the present central-heating has been installed the views can be enjoyed all year round. 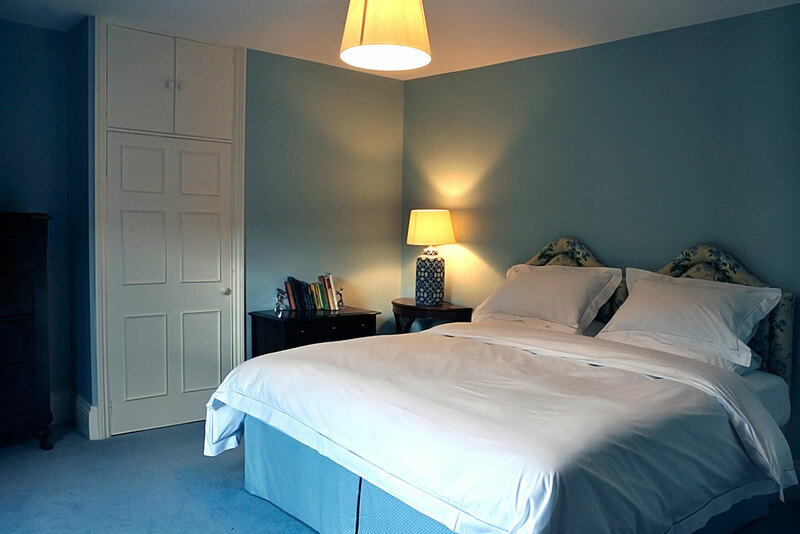 The bed is King-Sized and the room features a table and armchairs; the bathroom has a deep bath and his and her basins. 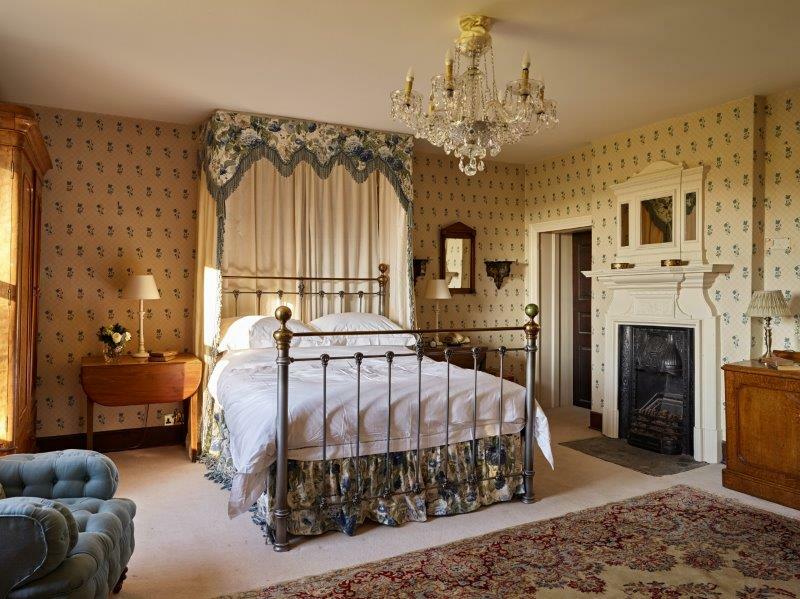 Jokingly referred to as the ‘Royal Suite’, This room has been the main guest bedroom for many years. The bed is Super-King sized and there is also a table and armchairs. The bathroom has a ‘P’ shaped bath which can also be used for showers. The theme of the room is velvet, and its purple colour. By contrast to these sombre tones, the windows give great views over the parterre and the rest of the large garden below. 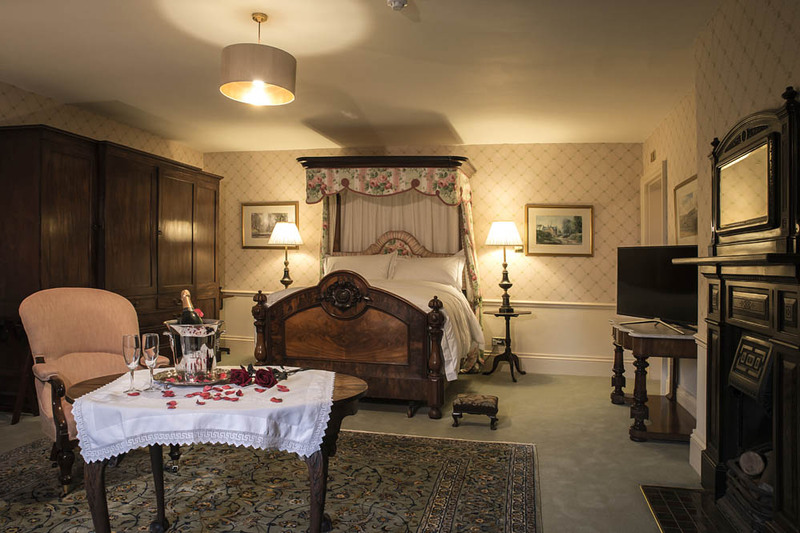 There is a super king bed, with a table and armchairs where guests can relax, whilst enjoying the views. The en suite facilities feature a large shower. 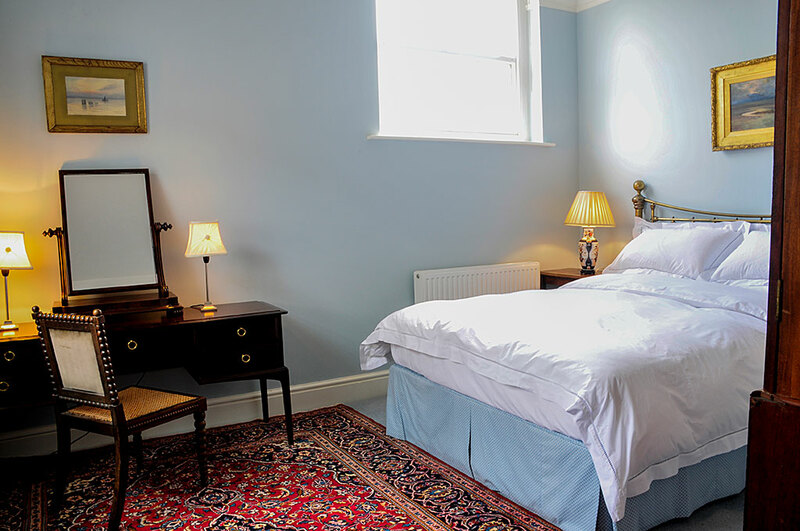 On a clear day this room offers unspoilt views of the Wrekin (mountain near Telford), the Breidden (near Welshpool), and the Welsh hills. 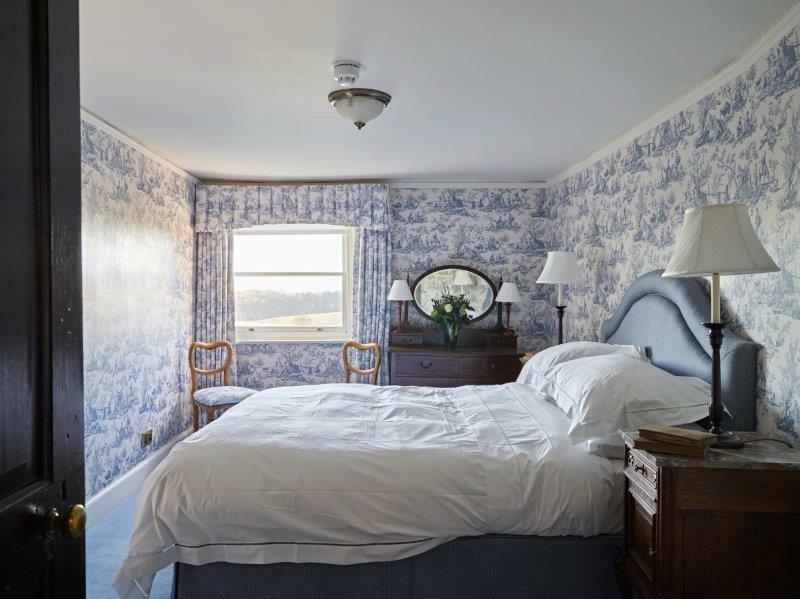 The wallpaper is a ‘toile de jouy’, which gets its name from the place in France where these bucolic designs were printed in the late eighteenth century. The bed is king-sized. This room (together with the Offley Room and Ashley Room) share the family bathroom, which has a deep bath, a shower and two basins. This was originally known as The Studio and has been much used for painting and craftwork by family members. 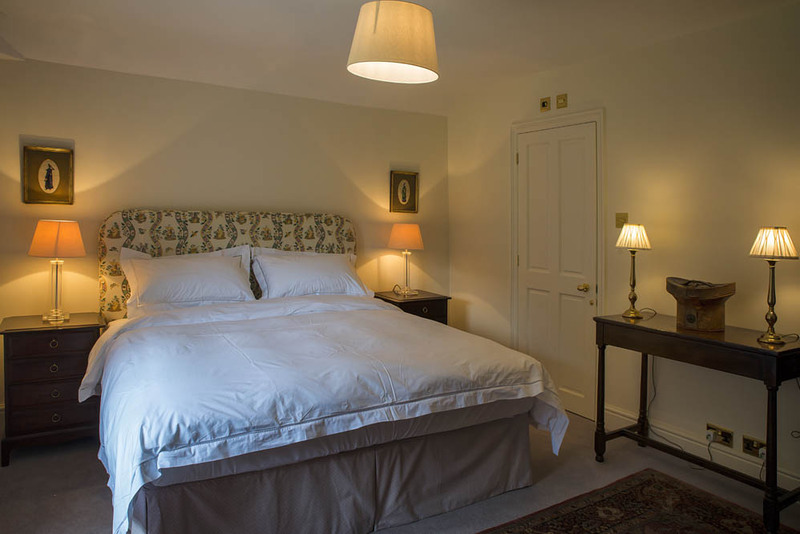 The room enjoys views in the direction of Offley Hay and Offley Brook where the estate has much land. The bed is a super king zip-and-link bed, which can be divided into two singles. This room (along with the Wrekin Room and Ashley Room) shares the family bathroom, which has a deep bath, a shower and two basins. 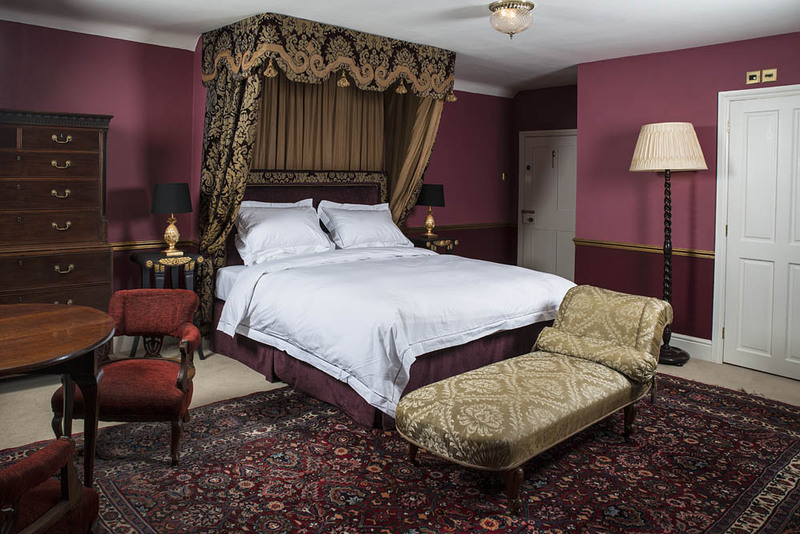 This room was a comfortable drawing room for the last 50 years, and its qualities are retained; though it is now a bedroom with a king-size bed. The bathroom has a ‘P’ shaped bath which makes it ideal for baths and showers. Print rooms require enormous skill and patience required to cut out and arrange the individual prints. They were in vogue in the eighteenth century and contemporary print rooms — like our striking example (completed by an erstwhile lady of the house) are a rarity. There is a separate toilet, adjacent to the bedroom, which is decorated in similar style to the room. There is a large walk-in en-suite shower in what is our smallest room, which nevertheless has a King Size bed. 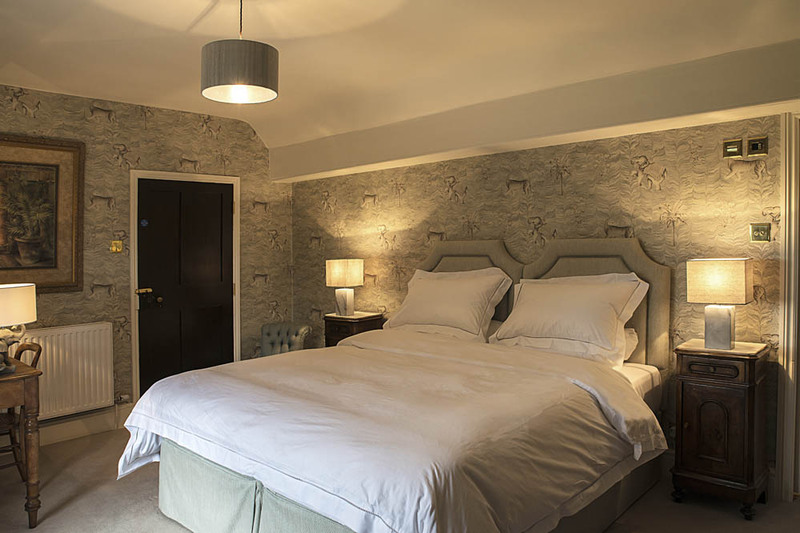 The former day nursery has been converted into a generous en-suite bedroom, which features a king-sized bed and includes a sumptuous extra-deep bath. The housekeeper was allocated this room, and next door (although the door is now blocked) there was the linen room with its built-in linen cupboards. There is a zip-and-link super king bed, which can easily be divided into two singles. There are ensuite facilities with a large walk-in shower. The fields of Pershall can be glimpsed over the roof of the Billiard Room. The Pershall family became wealthy baronets and built Sugnall’s original hall (only its kitchen wing and cellars survive) adjacent to the Walled Garden). The Super King bed is zip-and-link, which can be divided into two singles. The bathroom has a deep bath and a shower. This room is in the direction of Swynnerton — once the home of the family of the same name that had such an influence on the medieval history of Sugnall and Eccleshall. It was a later member of the Swynnerton family that built the oldest surviving part of the hall in the late eighteenth century. 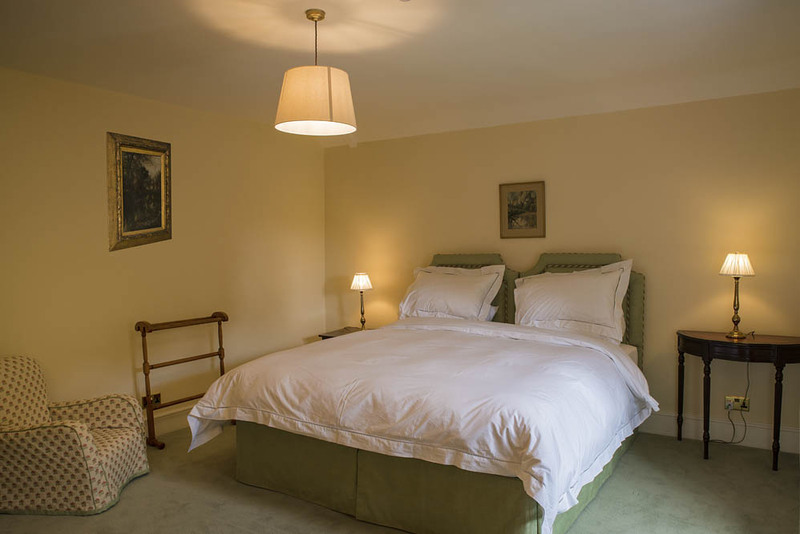 The bed is king-sized, with compact en suite facilities including a large shower.